A range of jobs are offered for differing skill levels within a supportive environment in Civic’s premises in South Sydney and other locations. We often recruit for supported employees for a Department of Defence contract at Holsworthy Army Base. These paid administrative positions offer opportunities to those living in the Liverpool, Campbelltown and Bankstown areas. Civic also provides supported employment @ Nourish Kitchen + Café located in North Nowra. More supported opportunities will be available in other locations soon. Contact us to register your interest for supported employment. All employees undertake regular job specific training to ensure a safe work environment and increase their employability to potential employers. They participate in a range of training activities and are supported to build their skills with a personal career plan. Together with an adviser, a program is devised to develop the skills needed to meet the goals set out in the plan. 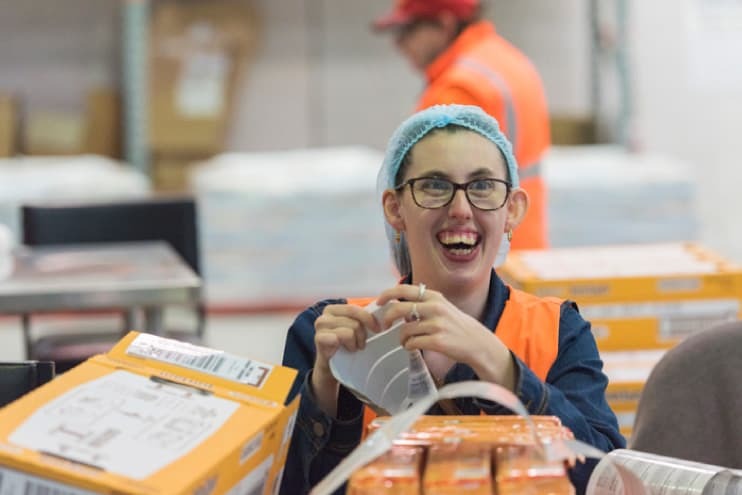 A group of Civic employees are currently undertaking Cert II in Warehousing Operations through TAFE while others are doing Cert III in Process Manufacturing.